Do you need to schedule pressure washing services for your property? State Systems Inc. serves the Mid-South, including Tennessee, Arkansas, and Mississippi, to provide high-quality pressure washing techniques for commercial kitchens and restaurants, vent hoods, building exteriors, walls and floors, concrete, and more. Learn more about our professional pressure washing services or call us today at 866-308-5701 to schedule your visit from an experienced State Systems Inc. technician. 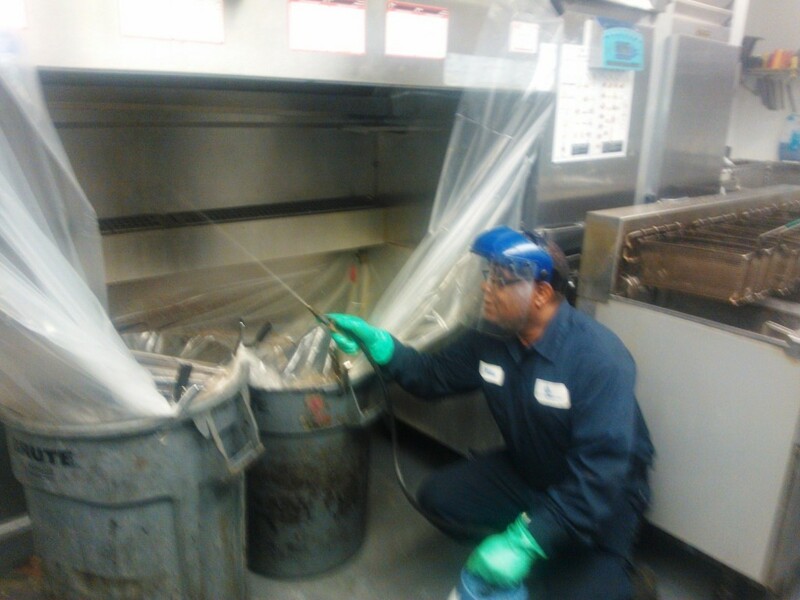 We emphasize customer needs and work to clean all accessible areas. Call 866-308-5701 to get started today! Our pressure washing techniques utilize high pressure and hot water to thoroughly clean your vent hoods and exhaust system using state-of-the-art equipment. Our technicians are trained to properly clean all accessible areas, and our professionals take special care to ensure your kitchen is protected from overspray. Our high-pressure and hot water pressure washing solutions are expertly suited to clean your business’s vent hoods and concrete floors, drive-thrus, sidewalks, and dumpster areas as well as walls and floors. We also have special equipment for cleaning stovetops and other hard-to-clean equipment. Get in touch with our pressure washing company in the Clarksville, Memphis, or Tupelo area today! On a scheduled basis, State Systems Inc. will perform fan maintenance that includes installing a new fan belt, adjusting proper tension of the belt, and lubricating fan bearings. If your business is located in the Mid-South, call State Systems Inc. for pressure washing today! Need an estimate for pressure washing in the Mid-South? Call us at 866-308-5701 or contact us online! We don’t want to leave first impressions of your business up to chance. Our technicians will help you keep a beautiful, well-maintained commercial building all year long with building exterior cleaning and pressure washing services. Your customers and clients will notice the difference, as will you and your staff. Learn more about our professional pressure washing or cleaning services or call us today at 866-308-5701! State Systems Inc. knows that clean concrete helps your business look better. Our certified technicians are knowledgeable and experienced in using hot water cleaning equipment to make your concrete surfaces look clean and more aesthetically appealing. Are you looking for a pressure washing company near Clarksdale or Memphis, Tennessee? Call State Systems Inc. today at 866-308-5701. We understand that building and property managers need to keep up the appearance of their properties. Our technicians service a wide variety of properties, including apartment complexes, condos, townhomes, senior living communities, hotels, and more throughout Tennessee, Mississippi, and Arkansas. Call us today at 866-308-5701 to find out what our professional pressure washing services can do for your business!